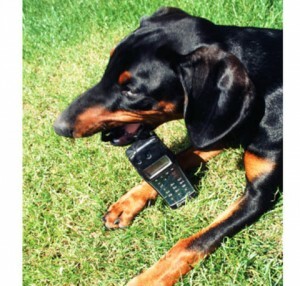 A mobile phone that can smell !!! Ever looked at a mobile phone as a sensory object? The question might surprise you but for researchers at Belgium based IMEC ( Interuniversity Microelectronics Center) your hand-held communications device is a handy sensory object. A mobile phone enables you to hear, works by touch, responds to motion (like, when playing games) and has a camera for vision. Now, the IMEC researchers are working overtime to help the handheld smell as well. Ability to smell is the only sense missing in mobile phones and by around 2015 an embedded `electronic nose' will take care of that too. Says Luc Van Den Hove, CEO, IMEC, "you can use it to check out freshness of food, test air quality or measure alcohol level in your body after a party." A pretty handy tool and another reason why a mobile is your best friend. IMEC, says Hove is a global organisation that, "works towards finding solutions to key challenges the world is facing-whether it's solutions for your busy lifestyle or for the ageing population." IMEC, partly government funded outfit has 2,000 people - 1,300 IMEC's full staff and another 600 comprise visiting researchers. IMEC employees are drawn from among 71 nationalaties, with Indians forming the fourth largest group with 62 people. Industry can collaborate with IMEC for specific research initiatives in areas like electronics, nanotechnology, healthcare and energy. IMEC's ongoing projects include 3D gesture recognition that can be used to improve experience in gaming, web TV and in cameras. In the area of healthcare IMEC is developing technologies that will help in remote monitoring of patients. Says Roger De Keersmaecker, senior VP, strategic relations, IMEC, "we are moving towards a human Body Area Network (BAN) type of systems. By 2014 more than 400 million wearable wireless sensors will be in use for things like monitoring heart rate or blood glucose levels. The data will be wirelessly transmitted to hospitals helping doctors react to emergencies quickly or advice patients on better lifestyles." Early in May this year IMEC entered into a R&D partnership with Wipro Technologies. IMEC and Wipro have created an initiative to co-innovate and build next generation intelligent systems, called Applied Research in Intelligent Systems Engineering or ARISE. Arise Labs, in Bangalore, is working on developing low cost devices based on nano-electro-mechanical systems technology, or NEMS. Such devices will find applications in remote healthcare, security systems and retail. Among the products it is planning to launch is a 'health necklace', The necklace is a body monitor, which when worn will continuously transmit data to any connected system, like a smart phone or a hospital monitor. Such a product is aimed at remote health monitoring for rural areas.